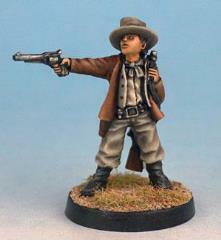 Billy the Kid, infamous outlaw and killer. His mere presence strikes fear into anyone who comes across him. Base supplied.